We’re hearing a lot of buzz around CDP certification – and our guess is, you are, too. CDP, formerly the Carbon Disclosure Project, is an international non-profit charity that helps companies and cities measure and disclose important environmental impact information through an annual questionnaire and rating system. At the request of a company’s investors or customers, the organization can issue four different types of questionnaires: Climate Change, Water Security, Forest, and Supply Chain. However, even if your customers or investors aren’t specifically asking for your CDP ratings in one or more of these areas yet, it’s likely that they will soon. CDP scores continue to be integrated on key investor platforms, such as Bloomberg, and in ESG ratings reports as investors attempt to better understand a company’s inherent environmental risks and, ultimately, its ability to manage those risks effectively. As an easy way to get ahead of the curve, your company can self-select to complete the questionnaire. By taking a proactive approach to CDP certification, you can give your ESG score an easy win—ESG rating agencies like Sustainalytics could give you credit for participating and publicly disclosing your score, whatever it may be. And, if you’re just now starting to implement a wholesome ESG program, your CDP questionnaire results can do double duty as a great framework to begin understanding your environmental strengths and weaknesses. 1. In most cases, you don’t have to wait for a customer or investor to ask you take the survey. Many companies first learn about CDP and its rating system because a stakeholder in their business specifically requests that the business disclose information for one or more of the CDP questionnaires. In this case, you’ll receive a notification from CDP along with an activation link to start the process. If you haven’t been requested to complete the questionnaire, you can still participate by filling out the Self-Selected Company registration form and registering to complete the Climate Change, Water Security, or Forest survey on your own. (You do need a specific investor or customer triggered invitation in order to take the Supply Chain survey). Companies can view the 2019 corporate questionnaires on CDP’s website now, and CDP’s Online Response System (ORS) for completion and submission will be available later this month. If you’ve been requested to complete a questionnaire, the deadline for completion is July 31, 2019. 2. Identify your resources and plan to allocate the appropriate time to the process. Completing the CDP questionnaires will require a significant time investment. Depending on how many questionnaires you are requested or have chosen to complete, you can expect to spend up to a couple of months aggregating the data. An important first step is identifying your most important internal resources and point people for gathering the correct the information and then, making a plan for how you will capture relevant data and information both internally and externally. It’s a good idea to engage help from your sustainability or corporate responsibility departments, general counsel, and HR. Find out what types of data these departments already track and ask people to help with digging into the additional details you will need. The CDP site provides detailed guidance and instructions for planning your submission and completing the online disclosure process. ESG rating firms are specifically looking for public disclosure and acknowledgment of completion. In fact, Sustainalytics currently gives credit solely based on participation and disclosure with less attention on the actual rating you receive. For example, a company that completes the questionnaire and agrees to publicly disclose its score should receive full credit, while a company that completes the questionnaire, but keeps the results private, could only receive partial credit. Companies that have not yet received a rating from CDP will also receive partial credit while those that don’t participate will get zero credit. 4. Score a quick win while focusing on your wholesome ESG strategy. When it comes to ESG efforts and scores, CDP participation is what we refer to as low-hanging fruit for companies looking for a relatively easy way to earn some credit fast. Not only could your participation positively impact your ESG score and help get your company on the radar of ESG-conscious investors, it also adds another layer of value to your company’s reputation for transparency and accountability for its impact on the environment. Because CDP is truly invested in helping organizations create a more sustainable world, the results it provides are intended not to penalize you for missteps or inactions, but rather to guide you in establishing practices and policies that help you better understand and manage your environmental risk. If you’d like more information on the CDP certification process or building a comprehensive ESG strategy, the experts at Clermont Partners are here to help. Give us a call today to learn how we can help your company better understand its ESG ratings and ensure its best possible scores. Caitlin Markle is a Senior Consultant with Clermont Partners and is based in Chicago. 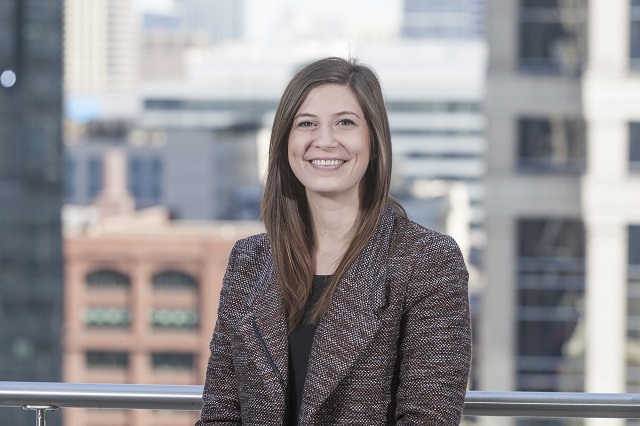 In her role, Caitlin works closely with client teams to deliver strategic investor relations and communication initiatives that help drive productive relationships between client organizations and the investment community. She assists the firm’s partners through the development of corporate messages, monitoring media coverage and industry trends, and conducting research.